A first impression will many times be a lasting impression. How do you ensure yours will be a great one? Whether you're attempting to land the job of your dreams or be accepted in a new circle of acquaintances, practice and planning will help put you at ease so that you present yourself with confidence. 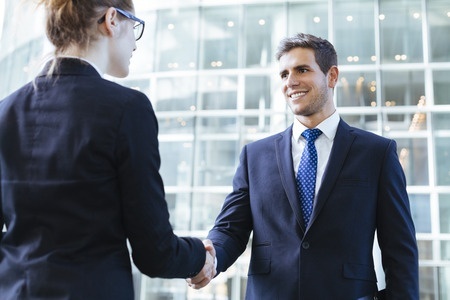 To make a positive first impression, there are five things you should strive to perfect: promptness, appearance, handshake, smile, and conversation. You have ample opportunity to practice these every time you leave your home - wherever and whenever you are with other people. One way to show respect for someone is to be on time and, in fact, early. Your punctuality says to the person you're meeting that you understand the value of his time and are responsible enough not to take it for granted. Showing up late, particularly for a first-time meeting, says to the other person, "I don't care that you made time to see me. You're not very important." This type of subliminal message does not bode well for those seeking employment. Resolve to arrive in physical proximity to the occasion early enough to be ready to enter precisely on time whether you are meeting someone for a business or social occasion. It's proper not to ring your dinner host's doorbell prior to the time invited, as greeting you might take her away from important last-minute preparations. Nonetheless, punctuality is a lasting show of respect, first time or otherwise. Like it or not, the first time someone sees you, judgements are made. What do you think the internal dialogue of the person seeing you is like? "She certainly likes to be seen in a crowd." "Did he just roll out of bed and land here?" "She looks polished and professional. A perfect fit for our company." We all want to be noticed, but for the right reasons. Consider the long-term effects of your appearance. Individuality is a wonderful thing, but not if it keeps you from getting where you want to be. Practice giving some thought to your appearance. Is your clothing is clean, wrinkle-free, and coordinated well? Your hair, facial expression, posture and stance all factor into your overall appearance and the impression you make. When you first meet someone and shake her hand, do you remember how it went? If you do, it likely was a bad handshake. Getting it just right is an important part of a good first impression. Make eye contact, extend your right hand vertically and as the hands meet at the web junctures between thumb and first finger, clasp the other person's hand, and shake. 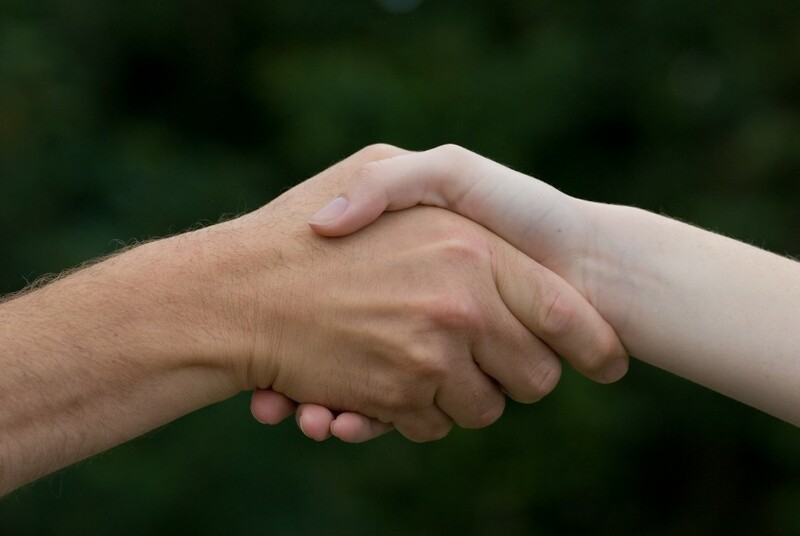 A handshake that is too firm says you may be nervous, even anxious, or that you are making a power move. And a handshake that is too loose and soft says you don't know what you're doing or that you have no interest in properly greeting this person. It's important that you practice shaking hands and remember what the perfect one feels like. Practice as often as possible so that handshaking is a natural part of saying hello. Many times your smile is what stands out as making a first meeting most memorable. A warm smile makes you seem open to engaging with other people. It can comfort frayed nerves, ease tension, and is highly contagious (in a good way). But the best of smiles are not just formed by your mouth. It shows in your eyes, too. The eyes are the windows to the soul, and if they are smiling, you appear happy, trustworthy, and confident. Look in a mirror and smile. What do you think? Once you get someone's attention, you'll want to keep it. Conversation is the way to do this, and it usually begins with "hello." A kind, friendly tone of voice will engage almost anyone in conversation. 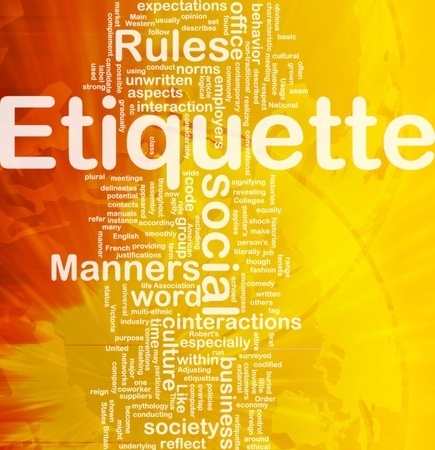 Practice conversing with people on the phone, while shopping, at the office, anywhere. Be pleasant, but be discrete. You don't want to overshare, and you also don't want to come across as a gossip. The objective here is to become adept at beginning conversations. Practicing the five elements of a positive first impression is a good start to actually making one. You can also do some "behind the scenes" preparations. If you're attending an event where you'll meet many new people, know the purpose of the event, who is hosting and/or sponsoring the event, and who is attending. Find out as much information (discretely, of course) as you can so you know what to anticipate. RSVP appropriately. This will make an immediate impression on your host.